Born in 1955 in Corona, California, while her father was serving in the United States Air Force, naturalist, writer and environmentalist activist Terry Tempest Williams grew up in the Salt Lake Valley in Utah. In 1978, Williams graduated from the University of Utah with a degree in English and a minor in biology, followed by a Master of Science degree in environmental education in 1984. She met her husband, Brooke Williams, in 1974 while working at a Salt Lake City bookstore. Following their marriage, the couple began service at the Teton Science School in Grand Teton National Park. From 1986 to 1996, Terry worked at the Utah Museum of Natural History first as curator of education and later as naturalist-in-residence. Williams published her first book in 1984, a children’s book entitled The Secret Language of Snow in 1984—it received a National Science Foundation Book Award. Among her many books, Williams is the author of Refuge: An Unnatural History of Family and Place (1991); An Unspoken Hunger: Stories from the Field (1995); Desert Quartet (1995); Leap (2001); Red: Patience and Passion in the Desert (2002)); Finding Beauty in a Broken World (2008) and The Open Space of Democracy (2010). Her most recent book, When Women Were Birds was released in 2012. Williams has been widely published in a variety of environmental, feminist, political and literary magazines and anthologies. In 2006, Williams received the Robert Marshall Award from The Wilderness Society, their highest honor given to an American citizen. She also received the Distinguished Achievement Award from the Western American Literature Association and the Wallace Stegner Award given by The Center for the American West at the University of Colorado, Boulder. She is the recipient of a Lannan Literary Award for Nonfiction and a John Simon Guggenheim Fellowship in creative nonfiction. Williams was featured in Ken Burns' PBS series The National Parks: America's Best Idea (2009) and in Stephen Ives's PBS documentary series The West, which was produced by Burns in 1996. In 2010, she received the David R. Brower Conservation Award for activism. 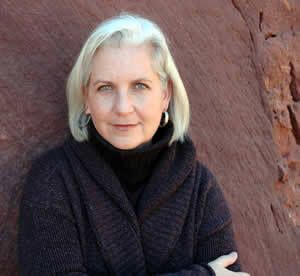 Terry Tempest Williams is currently the Annie Clark Tanner Scholar in Environmental Humanities at the University of Utah and a columnist for the magazine The Progressive.